Practice calculating pregnancy outcomes using GTPAL with these practice questions. These practice questions are for nursing students to practice calculating GTPAL. For the NCLEX exam and nursing lecture exams, you will be given a scenario of a typical prenatal health visit and be asked to calculate the GTPAL. 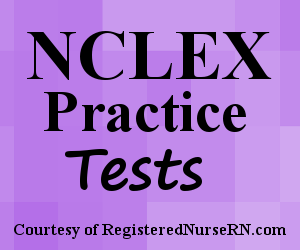 Don’t forget to check out our other NCLEX review quizzes. This maternity quiz will test your ability to calculate pregnancy outcomes with GTPAL for the NCLEX exam. 1. A 30 year old female is 25 weeks pregnant with twins. She has 5 living children. Four of the 5 children were born at 39 weeks gestation and one child was born at 27 weeks gestation. Two years ago she had a miscarriage at 10 weeks gestation. What is her GTPAL? 2. A 27 year old female is currently 16 weeks pregnant. She has 2 year-old twins that were born at 37 weeks gestation and a 5 year-old who was born at 40 weeks gestation. She had no history of miscarriage or abortion. What is her GTPAL? 3. A 20 year old female is currently 8 weeks pregnant. She had a miscarriage at 32 weeks gestation two years ago. She has no living children. What is her GTPAL? 4. A 26 year old female is currently 26 weeks pregnant. She had a miscarriage at 10 weeks gestation five years ago. She has a three year old who was born at 39 weeks. What is her GTPAL? 5. A 35 year old female is currently pregnant with twins. She has 10 year old triplets who were born at 32 weeks gestation, and a 16 year old who was born at 41 week gestation. Twelve years ago she had a miscarriage at 29 weeks gestation. What is her GTPAL? 6. A 39 year old female is currently 18 weeks pregnant. She has two sets of twin daughters that were born at 38 and 39 weeks gestation and an 11 year-old son who was born at 32 weeks gestation. She has no history of miscarriage or abortion. What is her GTPAL? 7. A 29 year old female is currently 9 weeks pregnant. She has no living children. Two years ago she had 2 miscarriages at 10 and 12 weeks gestation, and 9 months ago a miscarriage at 36 weeks gestation. What is her GTPAL? 8. A 30 year old female is 20 weeks pregnant with twins. She has a 6 year-old who was born at 40 weeks gestation. She has no history of miscarriage or abortion. What is her GTPAL?